1. Locate your local SNAP Office. 2. See if you meet the qualifications. 3. Complete your application online or in person. SNAP is what used to be called the Food Stamp Program. It is always free to apply for Food Stamps online. It can usually be done by locating your local SNAP office online. Families that are in need of housing and want to locate a section 8 application online should consult their local housing authority. Q: What can I buy with food stamps? A: Foods for human consumption; seeds and plants that produce food for consumption by food stamp households. Q: What cannot be bought with food stamps? 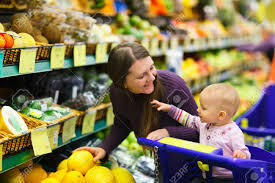 A: Any non-food items such as; pet foods, soaps, paper products, household supplies, grooming items, cosmetics, alcoholic beverages and tobacco, vitamins and minerals, any food that will be eaten in the store, hot foods that are ready to eat or any food marketed to be heated in the store. Q: How long will it take to apply and receive my food stamps? A: It can take up to thirty  days for your application to be processed completely. Q: What if I disagree with my food stamp allotment? A: The first course of action would be to call your worker to discuss why you are receiving the specified amount of food stamps. If you still disagree, you have the right to request a Fair Hearing by calling 1-800-342-3334. Q: Can I apply for Section 8 rental assistance at the same time? A: No. The Section 8 housing program is handled by a different government entity. Q: What if my card doesn’t work? A: You should first call the customer service number located on the back of your benefit card to verify if you are using the correct card. If customer service is unable to resolve your problem, you should contact your food stamp worker. Q: What if I forget my PIN number? A: You should call the customer service number located on the back of your benefit card and change your PIN number over the phone. Q: Why does my neighbor/friend receive more food stamps than I do? A: Food stamp allotments are derived from a formula which considers household size when you apply for Food Stamps, like unearned income, shelter expenses, day care costs, child support payments, and in some cases, medical costs. Each allotment is specific to your individual household’s needs. Q: What day of the month can I begin to use my food stamp benefits? A: Your benefit availability day corresponds with the last number in your food stamps case number. For example, if your case number ends in an 8 [F1111118 AZ], your benefits should be available beginning on the 8th day of each month. Q: Will my food stamp benefits expire at the end of the month? A: No. Your food stamp benefits will carry over from month to month, and are good for up to 365 days. Q: Why don’t my food stamps cover all of my food needs? A: Food stamps are meant to supplement your existing food budget. A Federal formula is used to determine your food stamp benefit amount based on your income, expenses, and household size. Keep in mind that HUD is the Department of Housing and Urban Development and does not administer the SNAP program. That is done by the USDA. A low income housing application is for housing, not for TANF or any other benefits. Explore more sites by Hiram Lewis and Datatron. 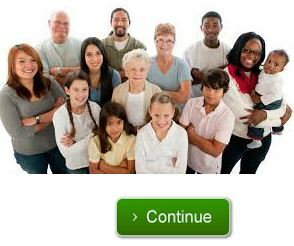 They have various sites to help tenants find a Section 8 landlord online as well as other useful directories. Find a low income housing application (otherwise known as Public Housing) in various areas when they are being accepted.